Confessions Of A Plant Geek: Hummingbirds and butterflies love licorice. Hummingbirds and butterflies love licorice. 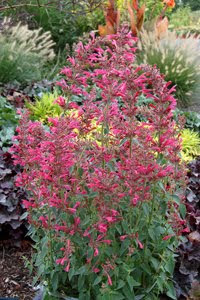 At least they love plants from the genus Agastache, many of which have licorice-scented foliage. Many varieties have done very well in my garden. Nearly all of them need well drained soil to thrive and survive the winter. If you can provide the right soil conditions, they will reward you with masses of blooms, butterflies, and hummingbirds. 'Black Adder' is a tall, sturdy variety with dark purple calyces (the calyx holds the flower to the stalk) and lighter lavender flowers, the overall look is a dark purple. This year it is 4' in my garden. Last year it hit 5'. This variety seems to be a heavier feeder than the others, as it gets yellow in the garden without fertilizer. A slow release fertilizer would be a good idea. To much fertilizer and it could get leggy and floppy however, so don't over-do it. Tiger Swallowtail butterflies love this plant. A. rupestris is a wonderful 30-36" mound of silvery foliage with coral flowers that blooms from the end of June through August. This is probably my favorite variety for the substantial fine textured clumps it makes in the garden. A hummingbird magnet. 'Raspberry Summer' is a rosey-pink flowered variety that gets 30"-36" tall on wiry stems that are pretty sturdy. They sway in the breeze, but aren't too horribly floppy. 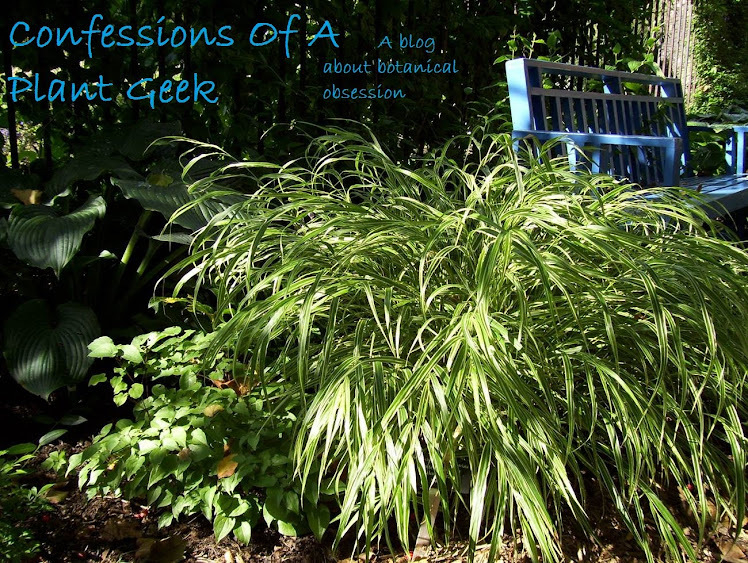 This year it was a little open and not very dense, so I recently cut it back and it is filling in nicely. This zone 6 variety has perfomed quite well overall, and this is its 3rd year. I do nothing special for winter, so I would say z5 with well drained soil. 'Summer Love' is a nice vivid purple that has a habit nearly identical to 'Raspberry Summer'. Hummingbirds love both varieties. This zone 6 variety has proven to be a stronger grower for me, and in year 2 has surpassed my clump of 'Raspberry Summer' for size and blooming power. Easily z5 with well drained soil. 'Purple Haze' has not yet been planted in my own garden, but had been perfoming ok up to this year in the trial garden at work. It was planted in a somewhat heavy soil and with the new layer of mulch and all the rain we've had it rotted out this year. Similar growing to 'Black Adder' but with a more vivid purple flower. 'Golden Jubilee' is a nice fairly adaptable variety with golden foliage and purple flowers. It is a prolific self-seeder however, and needs to be deadheaded to prevent taking over part of the garden. This one can take a slightly heavier soil. Hardy to at least z4, probably z3 with well drained soil. 'Blue Fortune' is similar to 'Golden Jubilee' but with green foliage. Also more soil adaptable than other varieties and also a self-seeder. Both are around 30" tall. Hardy to z4, z3 with well drained soil. I look forward to trialing a good number of new Agastache next year, with hopes that they will be proven hardier than expected. There is an increasing number of new varieties hitting the market, and most have been acceptable in z5 with good drainage. Experiment away, and have fun! I totally agree on you...Agastaches are great! You are right about Rupestris, such a tough and lovely plant, looks good all season, even when not in bloom. I love Golden Jubilee, the leaves are a nice contrast in the garden, especially in spring. Your Black Adder is much nicer than mine, which is not even 2' tall and still floppy and spindly...I think it is in too much shade, alas. My only disappointment has been Tutti Frutti, which grows vigorously and has lovely flowers, but it so floppy that it is just a mess. I'm trying Summer Sky this year (another Terra Nova introduction) and it is great...the dark purple flowers are really lovely and last forever...I hope it overwinters ok. Which varieties are you planning on trying next year? I'm hoping to get samples of all of the Terra Nova varieties as well as a few others. I also found a chance seedling with my batch of rupestris last year that overwintered, and a mutation of 'Black Adder' that has green calyces, which makes the flowers much paler. Might be nice when it grows up. Has anyone ever seen a "mother-in-law tounge" houseplant bloom. When I was a kid, I poured my left over orange juice in the plant on the way to the bus everyday. One day the thing grew a large spike and bloomed yellow flowers. Since then I have never seen or heard of one blooming. I would like to plant the "florist variety" of Hypericum berries for cutting. What variety do I buy?